First all the fun of cooking, then having a nice meal with friends and family – life can be so good. For added ambience check out Mica Decorations’s service Tabo in a rustic and robust look, perfect for casual dining. 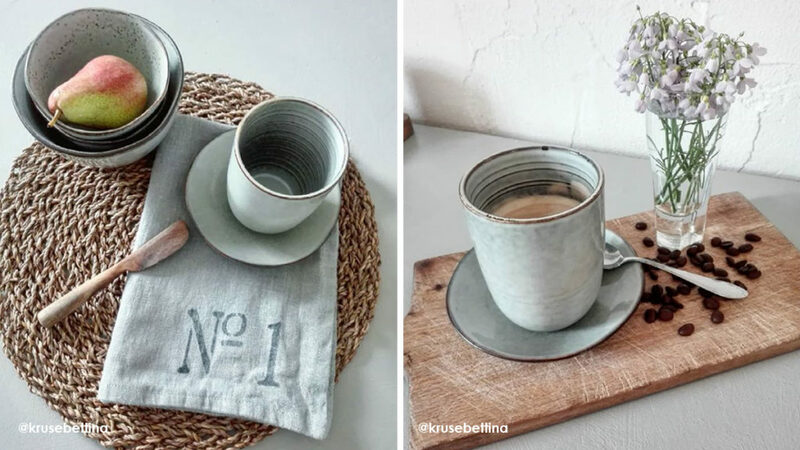 No more white porcelain and boring clean lines, but handmade plates and bowls in neutral shades, with an authentic look that suits pure, good food. Tabo is available in grey and cream shades that not only mix well together, but also with most pieces you already own. All Tabo dinnerware can easily be mixed with Mica Decorations kitchen accessories like sturdy cutting boards, beautiful crockery and artisan carafes. Every piece is unique thanks to the beauty of imperfection. 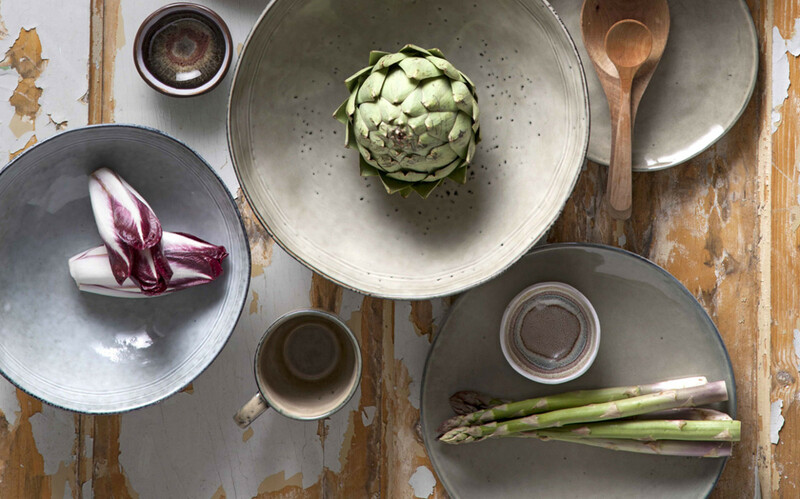 Yet together all tableware offers a unified and truly organic feel, because of all the matching colours. Tabo by Mica Decorations is a seamless fit with new lifestyle choices like the Swedish ‘lagom’ (not too much, not too little, just enough) and the Finnish ‘sisu’ (grit, resilience). It has an amazing artisan look with interesting details that make the bowls, plates and cups come alive. And its modest and quiet character makes it an interesting match with beloved plates and bowls that have been passed down through generations of your family. And with a bit of luck and love Tabo pieces will probably become heirlooms themselves.